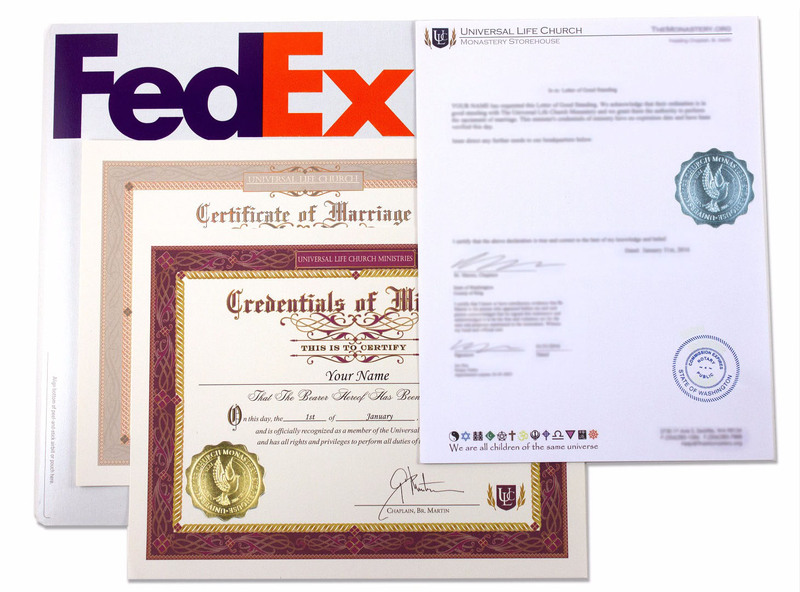 Emergency Wedding Kit includes legal ministerial documentation that a minister would need for a last minute ceremony. It's useful for a quick registration process with the local authorities for perform a wedding. This package is only available for orders within the United States. The items in this package may not meet requirements for registration in all places. Notable examples are New York City and Nevada which both would require a different registration package. We always recommend that the minister contact the office issuing the marriage license before performing a ceremony to verify what is going to be required. **$40 FedEx Overnight shipping method will automatically be selected upon checkout. All additional products in your order will use this shipping method as well.